Are you looking for an affordable New Hartford home in walking distance to the school? This 4 bedroom home has an updated eat-in kitchen with breakfast bar. Appliances include Sub-Zero Refrigerator, Wolf Stove, and beautiful stone countertops. Newly tiled bathrooms and traditional hardwoods throughout the house. 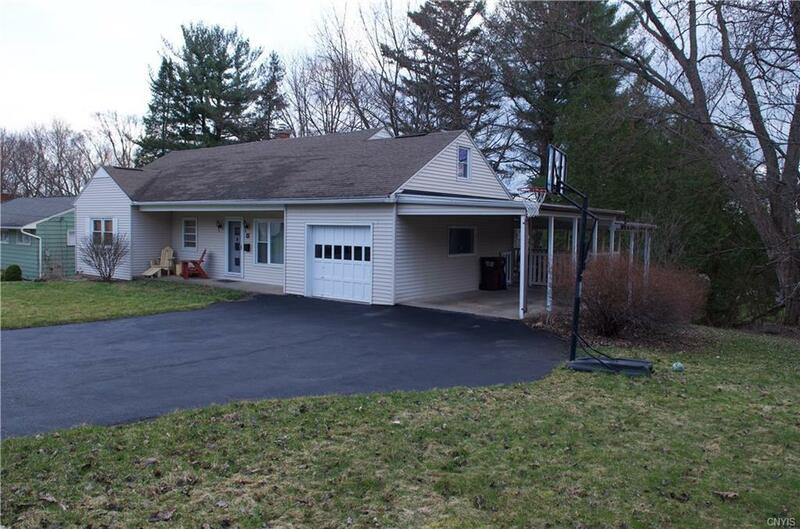 There is a single stall garage with additional carport attached. Full basement with Â½ bath, laundry, workbench and additional area for storage.